Big Shoota | 10K Ork Army – Red Jack’s Waaagh! 10K Ork Army – Red Jack’s Waaagh! by sukigod on November, 27, 2010 in Apocalypse, Uncategorized, Waaagh! 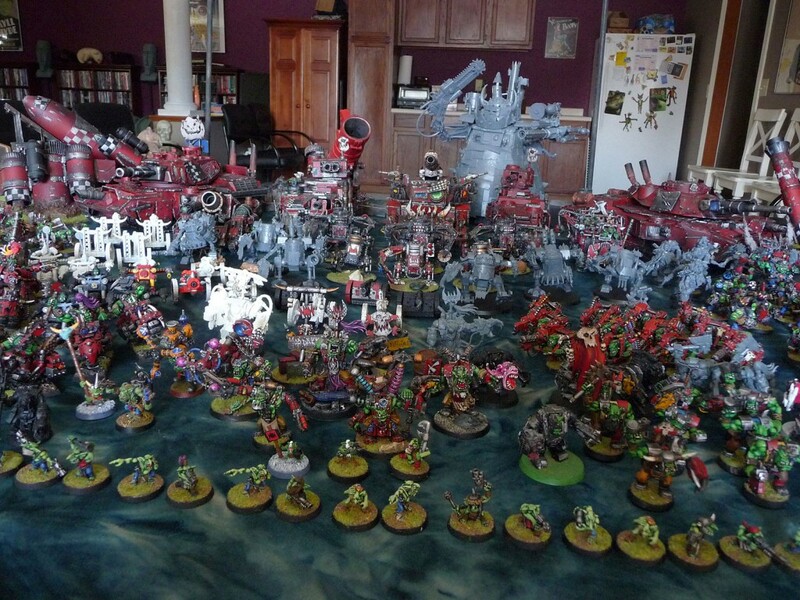 - Comments Off on 10K Ork Army – Red Jack’s Waaagh! 6,800 Points of Ork Waaagh! 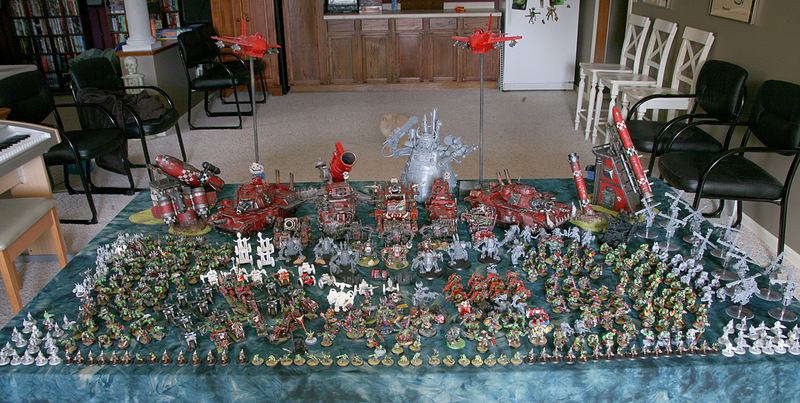 This is roughly 6,800 points – without pushing wargear and of course not including possible formations. This is a total of 10,190 points. I was kinda surprised to see I had broken the 10K mark this year but as seeing there’s 4 new Apocalypse units and and addition of two more Killa Kan mobs I suppose it shouldn’t have. Here’s a close up shot. If anyone wants to see any closeups, I did take a bunch of shots and can post more if you all want. Just let me know. 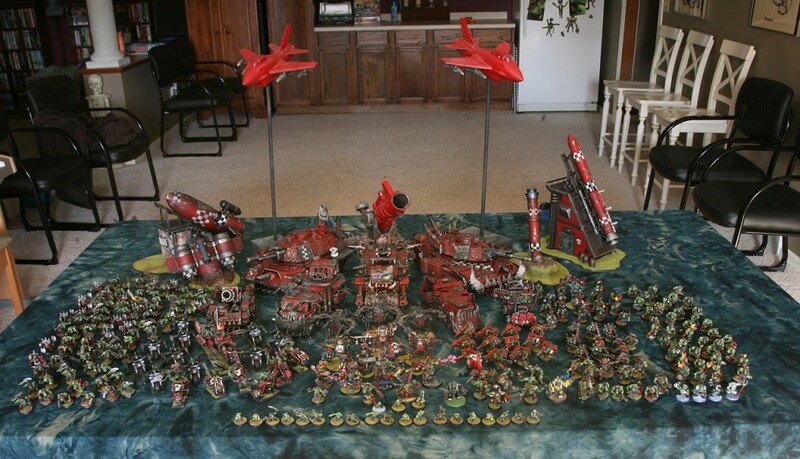 So at Thanksgiving end of 2010, here’s the stats for Red Jack’s Waaagh!